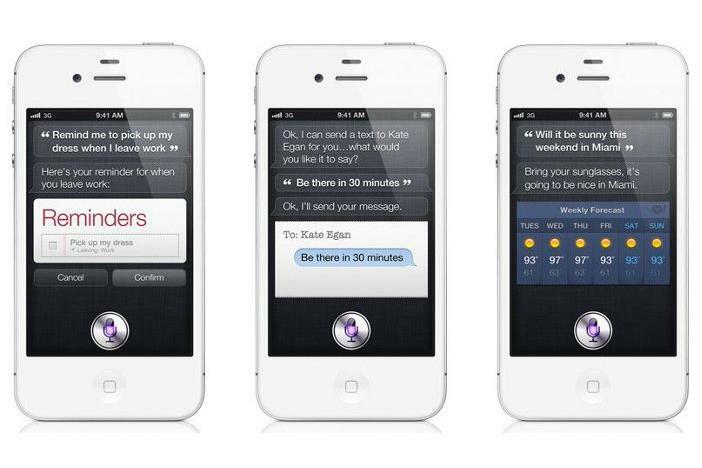 After last week’s iPhone 4S unveiling, Siri was one of the most talked-about features. With Siri, the iPhone 4S will be able to answer just about anything you ask it, from the weather report to nearby points of interest. It can also read messages and notifications aloud and even let you dictate messages of your own instead of relying on the phone’s on-screen keyboard. There’s only one drawback to Siri: Unless you’re planning on upgrading to the iPhone 4S, the feature is out of your reach. And Siri Assistant—the app on which Siri is based (and which Apple acquired last year)—has already disappeared from the App Store; the app will stop working on October 15, so even existing Siri Assistant users face a potentially silent future. Not to worry, though, iPhone 4 and 3GS owners—you needn’t miss out on the voice-control fun. The App Store continues to offer many apps that provide a lot of the same features iPhone 4S owners will get with Siri—and those third-party apps are available for free in many cases. Here are a few worth checking out. Nuance’s Dragon Go app underwent an update last month to deliver a much improved voice service to users. The free app works on all iPhones and third- or fourth-generation iPod touches (if you use an external microphone). It’s simple to use—just say what it is you’re looking for, and Dragon Go will search hundreds of content providers to deliver the best answers to match the query. For instance, for those wanting to listen to songs by a certain artist, Dragon Go will find that artist on Pandora, Last.fm and Spotify (for premium users of that music service). It can also help call a taxi, look up good restaurants nearby, and stream movies. Voice recognition plays a prominent role in Google’s mobile search tool. Instead of typing in a Google search query, Google Search allows voice commands to conduct a search. The app also exploits your phone’s proximity sensor; just raise the phone to an ear and talk to run a search. In addition to straightforward searches, the app also uses location to help find movie times, local restaurants, and more. Vlingo is a great multitasker. By using voice commands, users can dictate an email, text message, tweet or Facebook status, make a call, locate a place, or search the web. When spoken to, the app sends the voice command to Vlingo’s servers, returning the answer in text form. To use Vlingo, simply say one of four commands before the request: find, search, social update or call. The free app provides basic search functionality; for $10, you can add email and text message dictation. Unlike the apps above, Voice Camera Pro is designed to help specifically with one native iPhone app: the built-in camera. Instead of tapping around the normal camera app, Voice Camera Pro uses fairly obvious voice commands to launch the app’s camera, take a picture, view your photo library, and share photos. It also adds a few fun extras, such as snapping up to four photos consecutively. In loud conditions, you may need to use an external microphone (such as the headphone, mic, and remote pair your iPhone ships with) to clearly convey your command, but it’s worth a try for $2. Don’t forget—your iPhone 4 or 3GS already comes with some voice-recognition functionality (as does the third- and fourth-generation iPod touch). The native Voice Control feature should really be given a little more credit—it’s not only good for calling people hands-free, but can also FaceTime contacts (on the iPhone 4) and control your music. Voice Control can additionally list artist names, shuffle playlists, skip tracks, or play music similar to the current song playing. For many users, Voice Control—accessed most easily by holding down the Home button on your device—is quite suitable for their needs.